When Does Rhubarb Season Begin (and End)? Rheum rhabarbarum. What we call rhubarb. It is the thing of which pie makers dream about. They love paring of this tart vegetable – although for legal purposes is it considered a fruit – with berries – especially one with the name “straw” in them. Rhubarb is not available year round, at least in it’s fresh form. So one needs to know when can I get it and you might also want to know where it is grown. First you need to know that there are two ways rhubarb is grown – in greenhouses or in the field. The hot house grown rhubarb shows up earlier in the year, naturally (or not naturally if it’s grown indoors?). I usually see it in the very early spring or even as early as late winter. 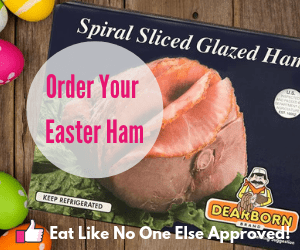 Since rhubarb sales go up quite a deal in the presence of strawberries, when strawberries prices deep as they tend to do in March, you will naturally find more hothouse rhubarb available. Hothouse rhubarb is usually more uniformly red in color. Some say it’s sweet and more tender too. Most of the field grown rhubarb that is sold in the U.S. is from the Northern U.S., particularly Oregon and Washington. They are well suited to rhubarb production. 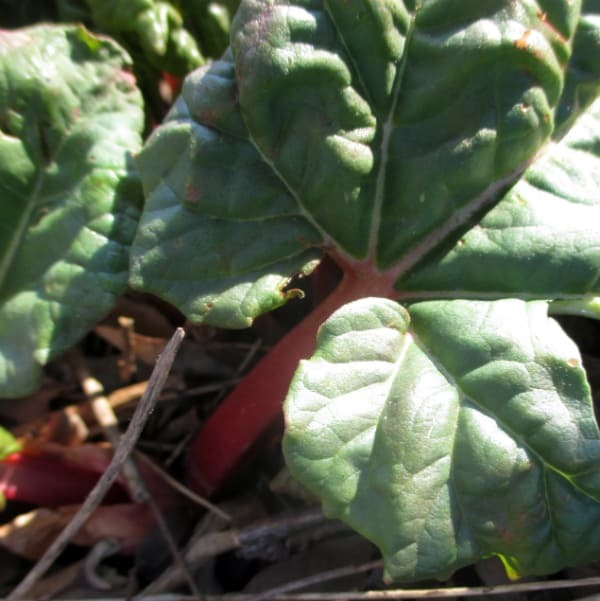 The first field grown rhubarb typically shows up in late March to early April. Around this time the hothouse grown rhubarb is done, so their seasons may just barely overlap. If you leave in a northern state you should be able to find it locally. Check your local farmer’s market in mid to late spring. Here in Michigan it lasts into June. 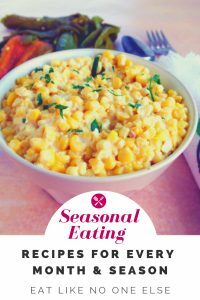 The season tends to slow down in the summer time, as the heat turns up. Rhubarb doesn’t grow as well in the heat. You should see how pathetic my rhubarb plants look in August! However, you may still see it into the summer as rhubarb does store well. 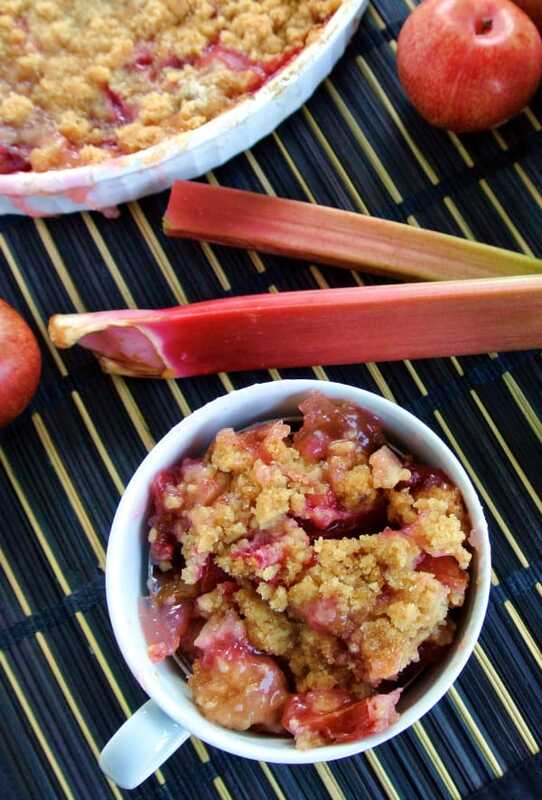 You can freeze rhubarb as well for later use. 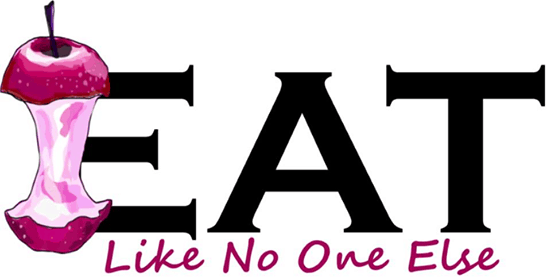 During the fall, you will be hard pressed to find it. I can’t recall ever seeing it. I don’t think there is much imported rhubarb, outside of maybe from Canada. Rhubarb is easy to grow yourself, depending on where you live. Those in the North can easily grow it. I never put much attention into my rhubarb plants and they come back year after year. I got the plants from a friend who just quickly dug a spot when I was home and planted them there. If you live in the South, it will be more challenging. Your best plant transplants in fall, and harvest your stalks through the winter months. When the heat gets going, the plants will die off and you have to plant anew. 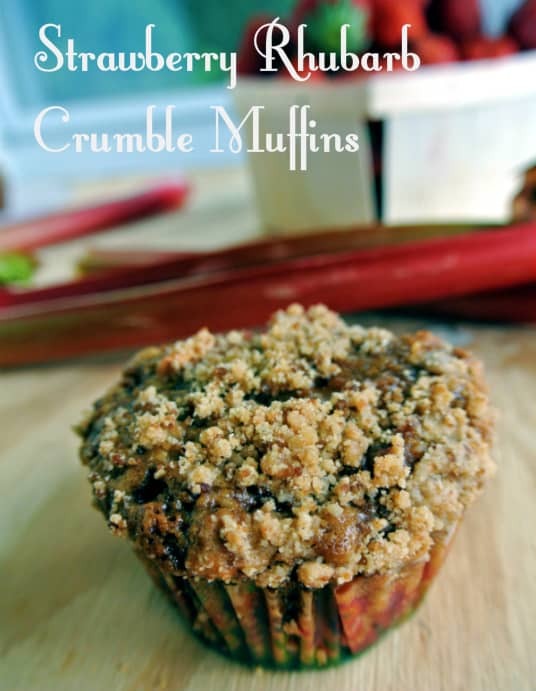 Strawberry Rhubarb Crumble Muffins | Every year I can’t wait to make these. I like them better than pie! when can you get rhubarb off a plant when first planted. Great questions. Depends on how fast the plant grows. You don’t want to harvest too much because the plant needs it’s leaves to grow. I would at least wait until you have several healthy looking leaves with stalks that are as big as you normally would buy them at. As the plant ages and gets bigger you can harvest more.